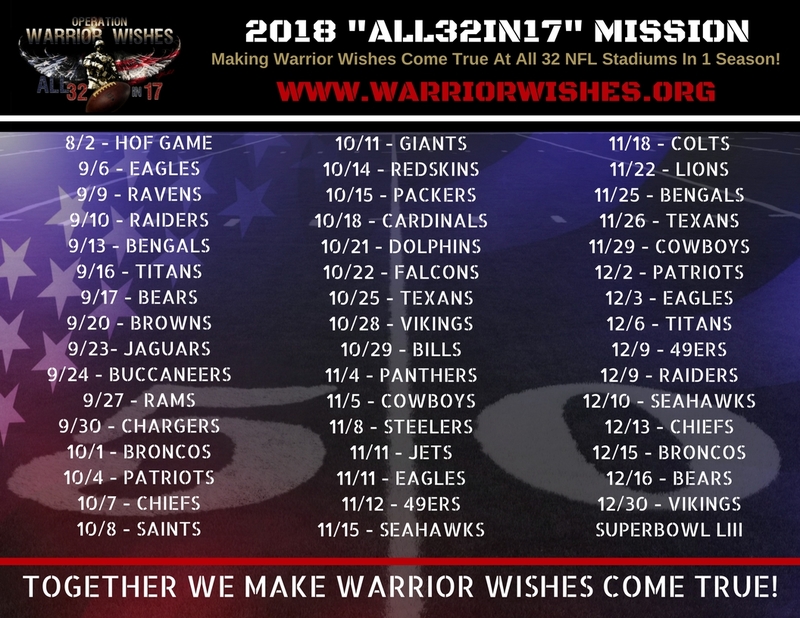 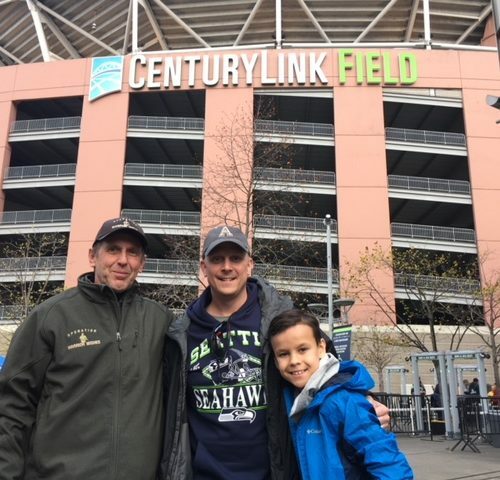 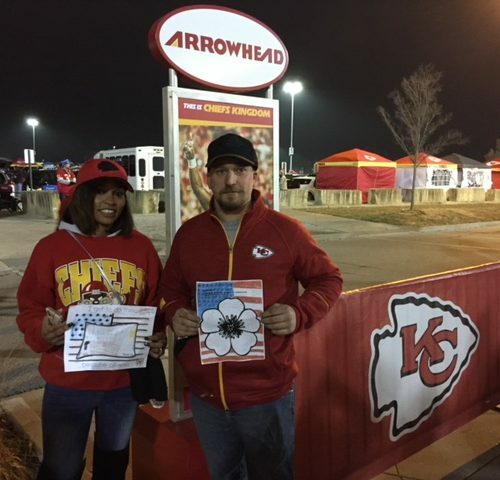 Making Warrior Wishes Come True At All 32 NFL Stadiums In One Season! 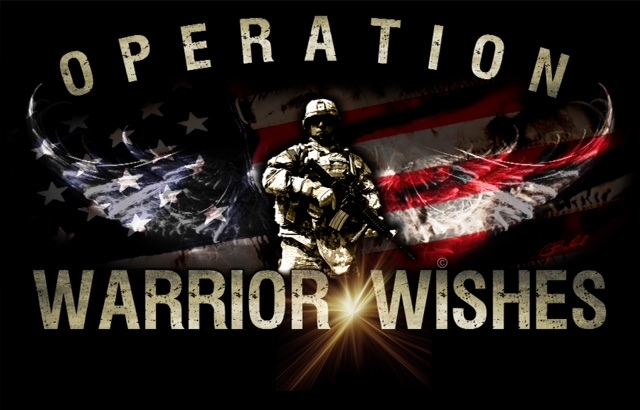 Tell Us About Your Hero & lets Make Warrior Wishes Come True! 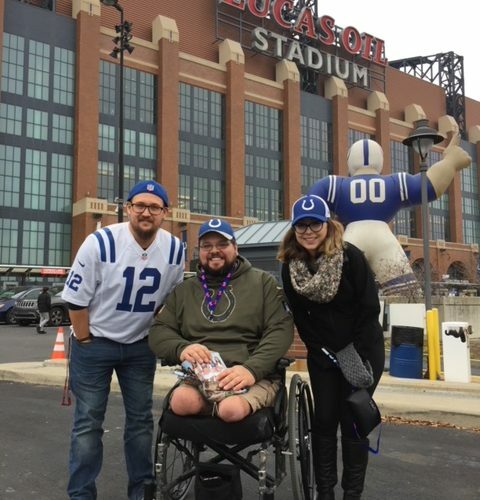 We’re Currently Accepting Nominations For Our Upcoming “ALL32IN17” Mission! 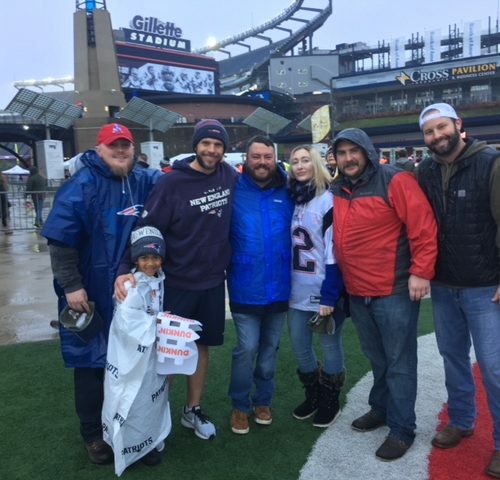 Globe Life Makes Warrior Wishes Come True Again & Again! 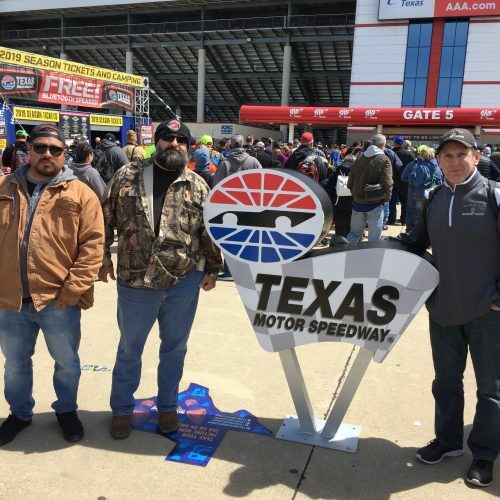 Warrior Wishes Come True at the O’Reilly Auto Parts 500! 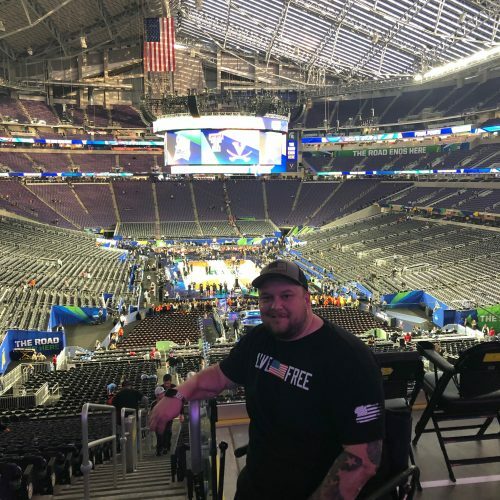 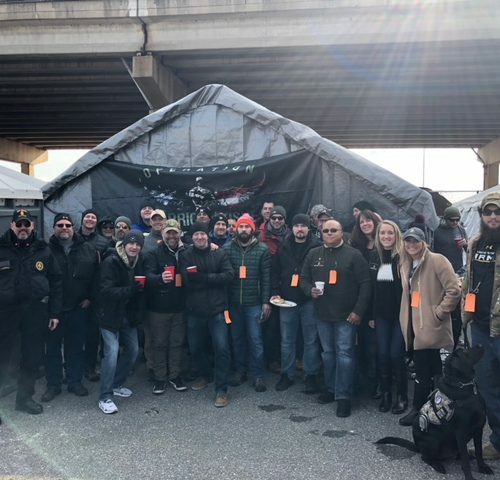 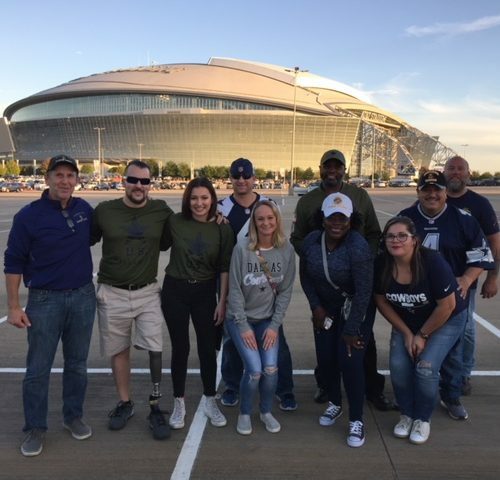 Operation Warrior Wishes was honored to host Marine, Mike Matyousian at the O’Reilly Auto Parts 500 at the Texas Motor Speedway! 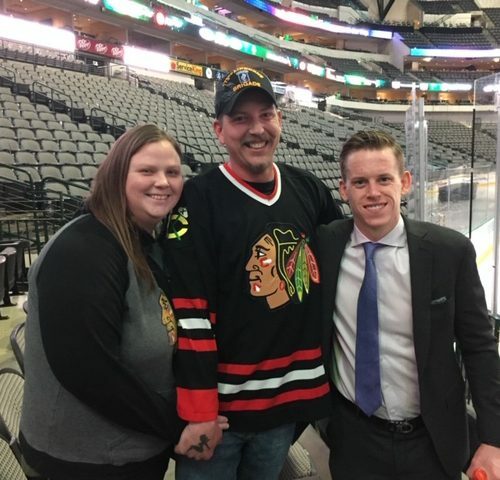 Warrior Wishes Come True At The Hawks Game In Dallas! 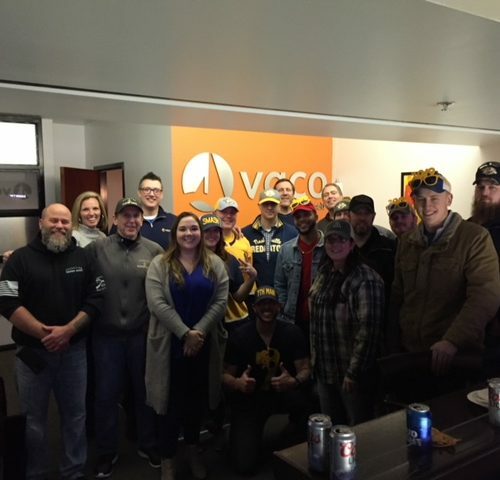 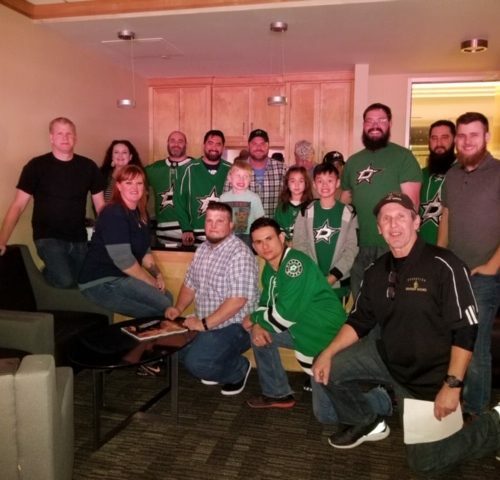 The Dallas Stars Make “Suite” Warrior Wishes Come True! 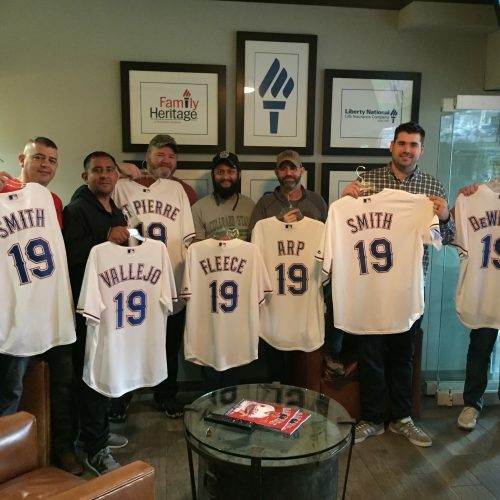 Operation Warrior Wishes would like to thank the Dallas Stars for helping us make these wishes come true! 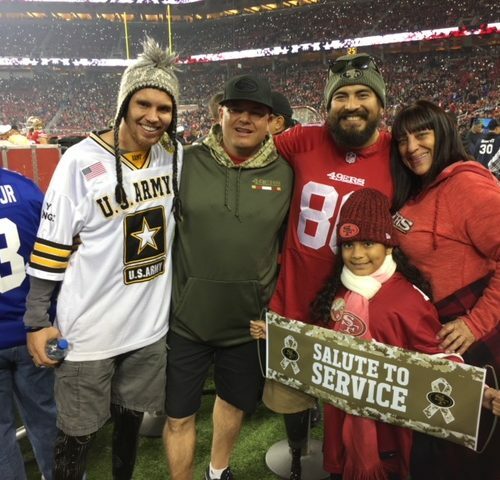 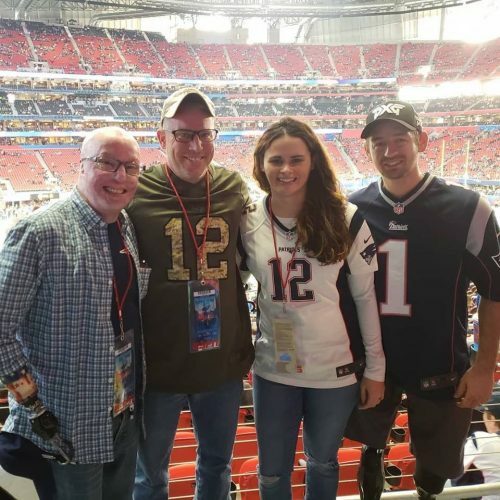 The Experience was “Suite!” TOGETHER WE MAKE WARRIOR WISHES COME TRUE! 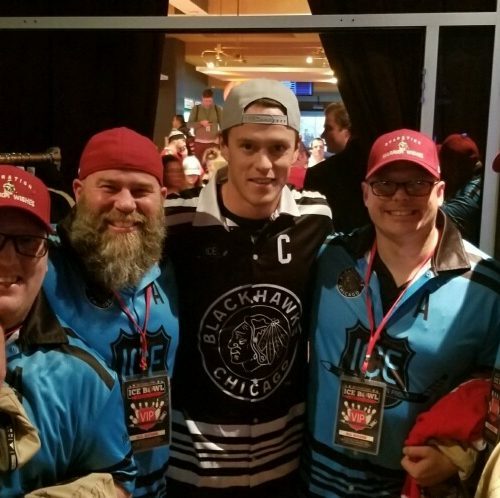 Inner City Education and the Chicago Blackhawks Make Warrior Wishes Come True! 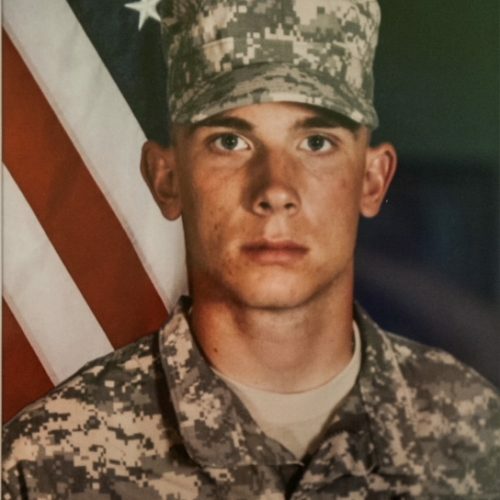 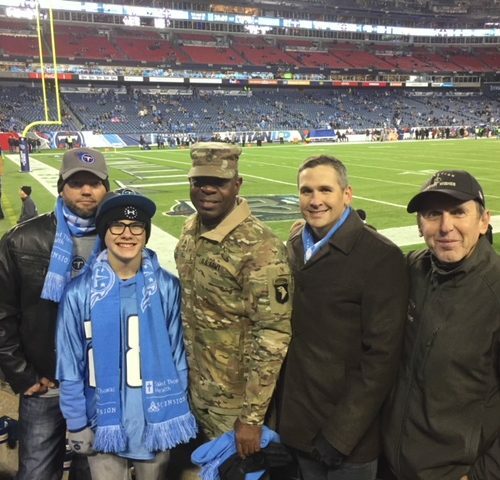 Honoring The Legacy Of PFC Aaron Toppen At The Hawks Game! 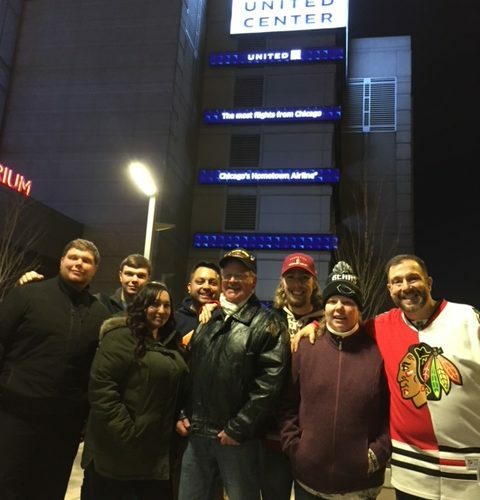 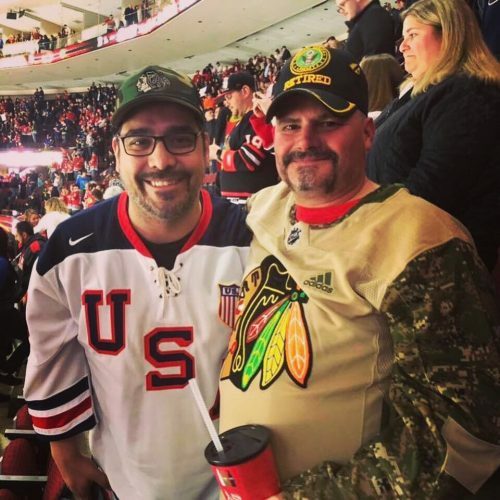 Operation Warrior Wishes was honored to make these wishes come true at the Chicago Blackhawks game! 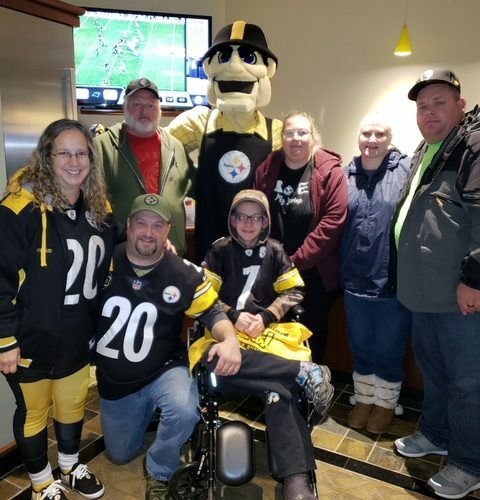 Operation Warrior Wishes was honored to make these Warrior Wishes come true thanks to our friends at Comcast! 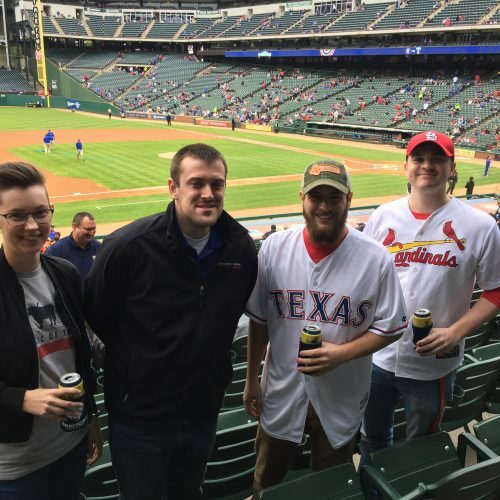 Game 27 – Warrior Wishes Come True In Dallas! 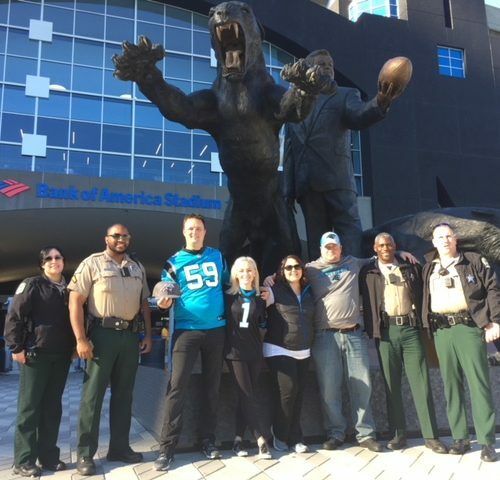 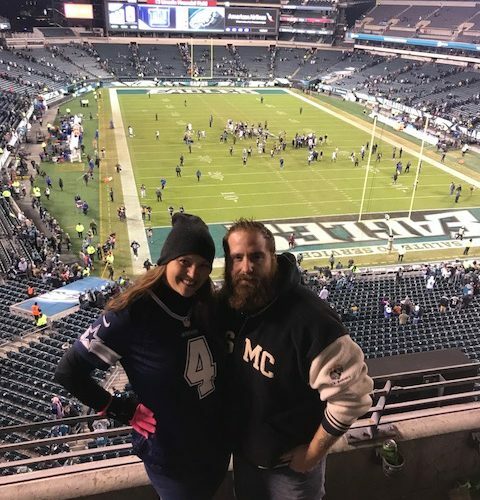 Game 26 – Warrior Wishes Come True At The Panthers Game! 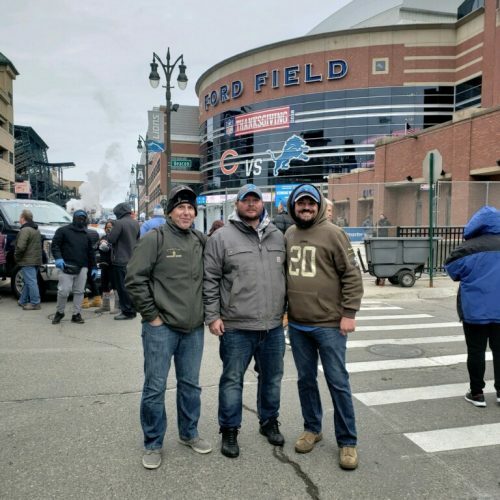 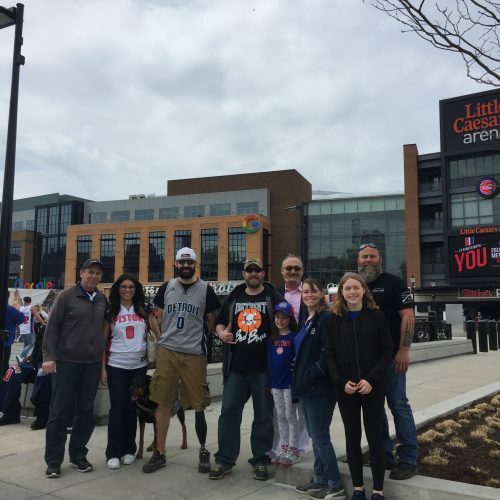 Game 25 – Jim Kelly Makes Warrior Wishes Come True In Buffalo! 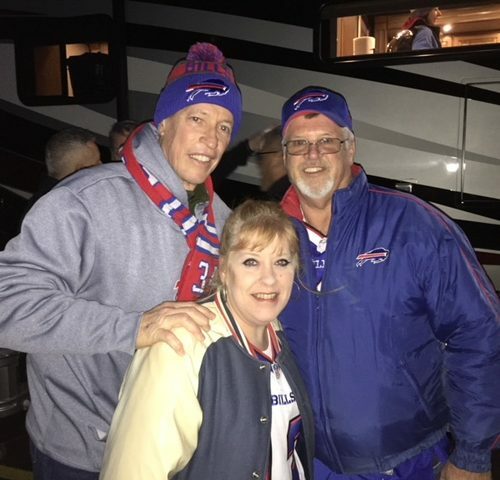 Buffalo Bills legend Jim Kelly helped make Warrior Wishes come true in Buffalo for the 7th straight year! 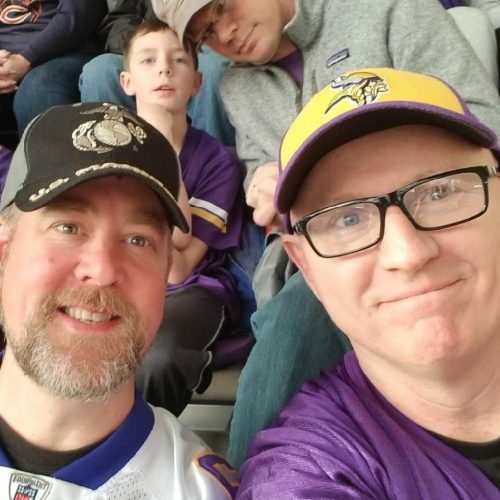 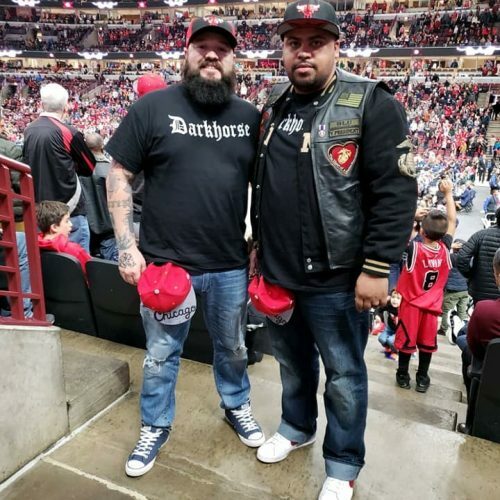 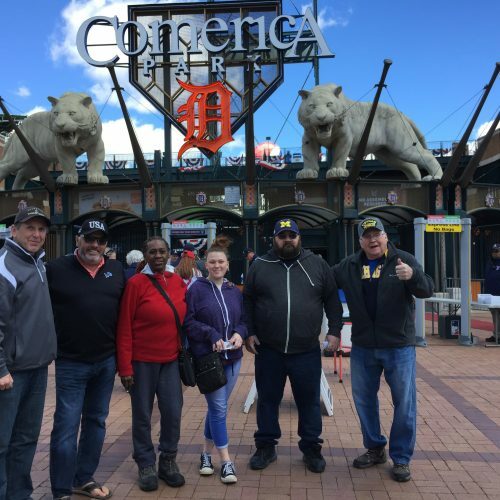 Game 24 – Making Warrior Wishes Come True In Minnesota! 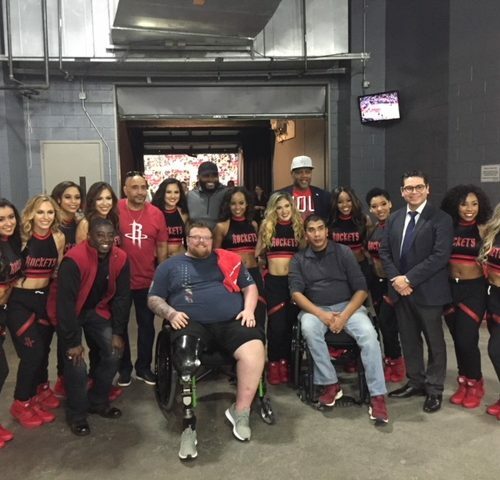 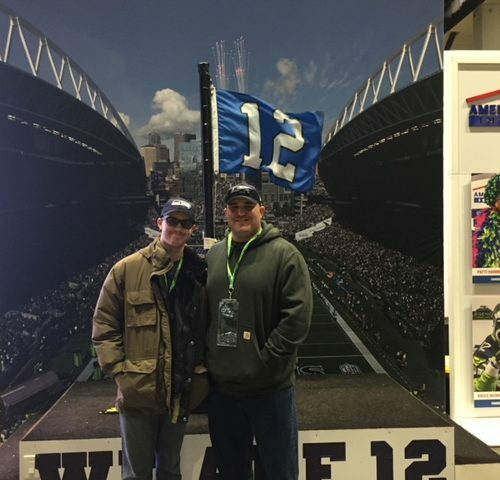 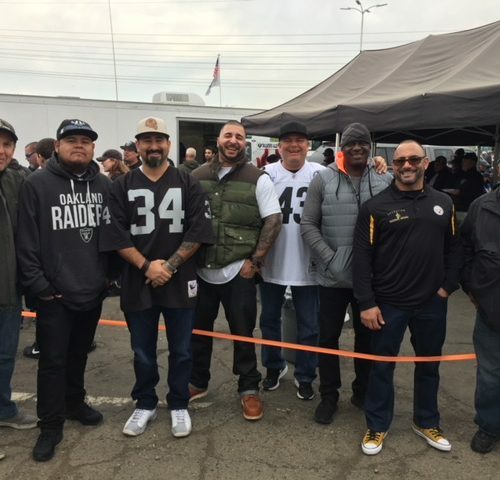 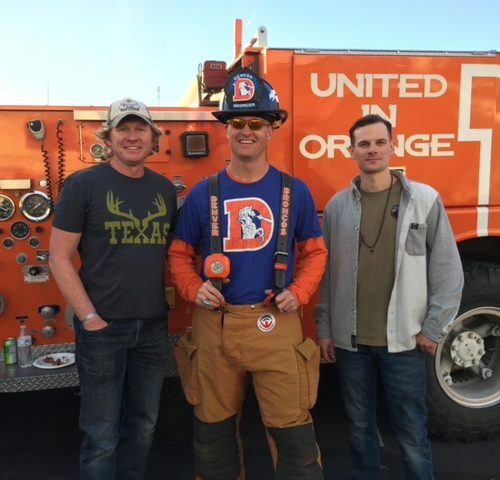 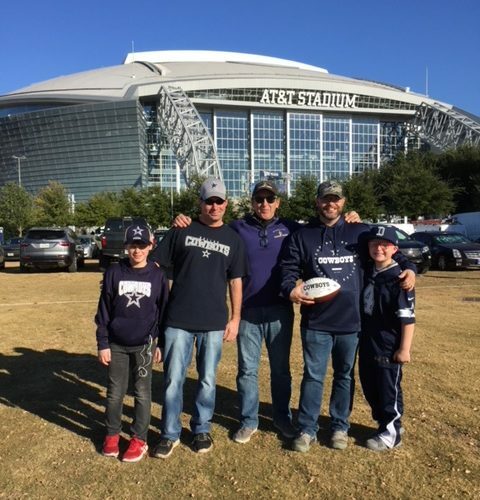 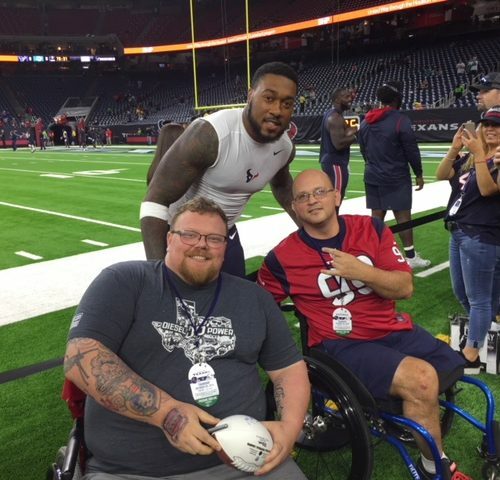 Game 23 – The Texans Help Make Warrior Wishes Come True! 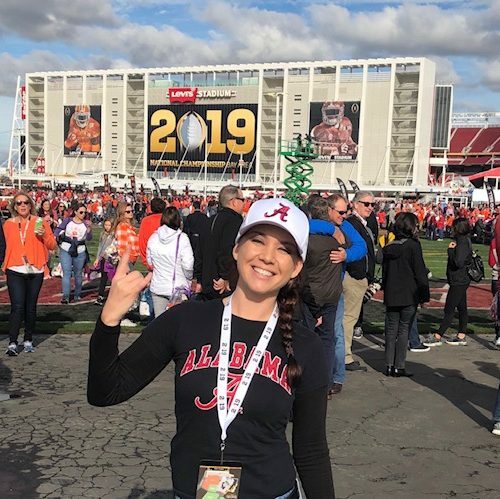 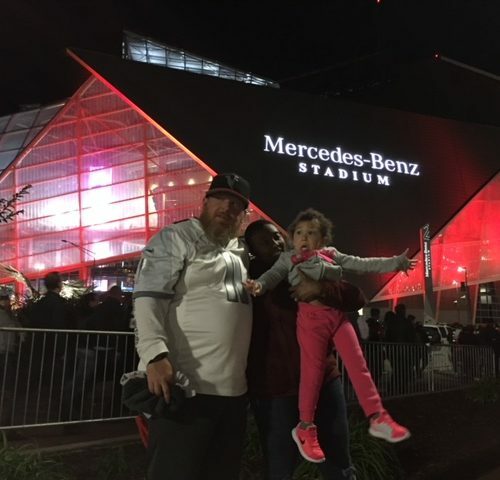 Game 22 – Warrior Wishes Come True In Atlanta! 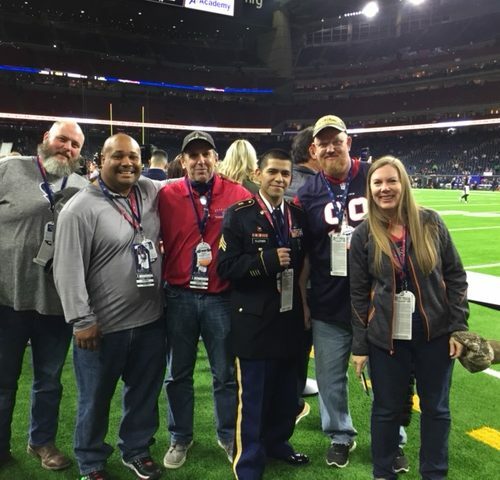 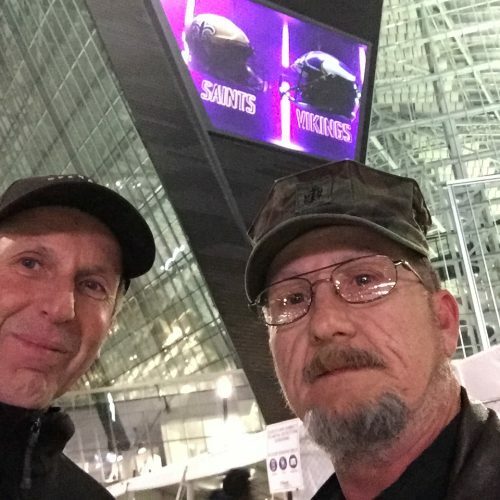 Operation Warrior Wishes was honored to make these Warrior Wishes come true at the Falcons game! 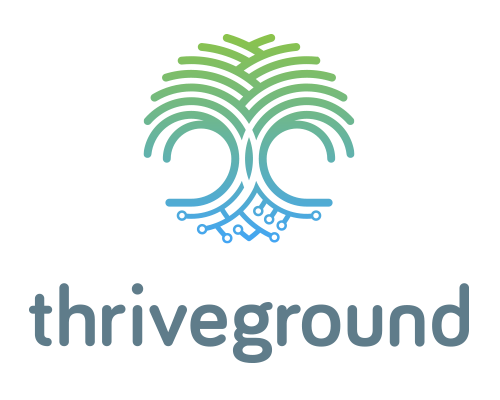 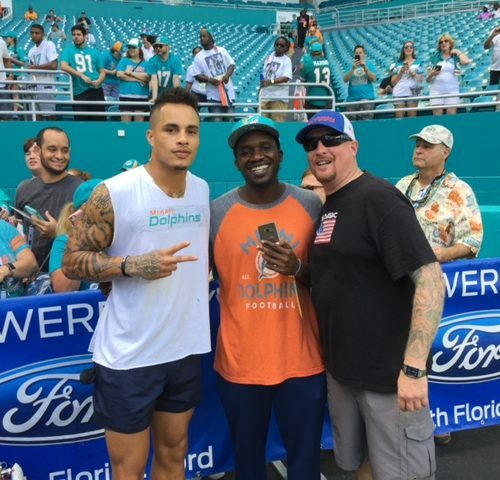 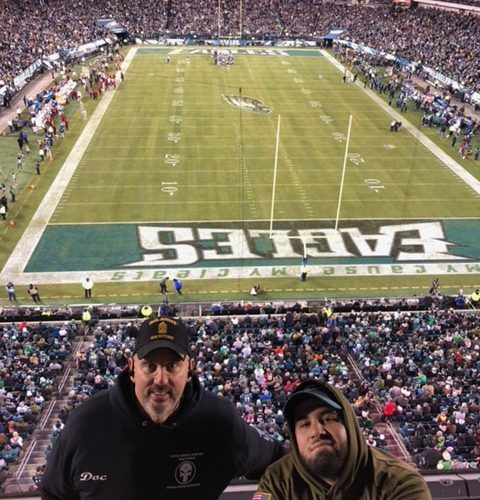 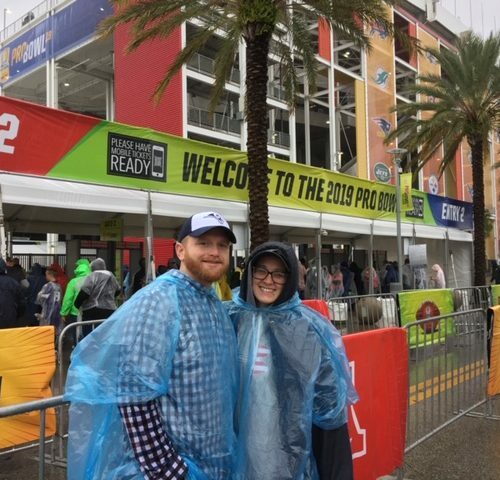 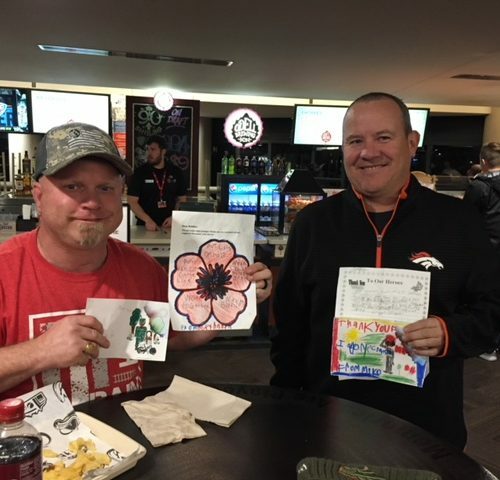 Game 21 – The Miami Dolphins & Chive Charities Make Warrior Wishes Come True! 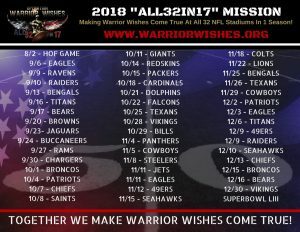 Operation Warrior Wishes would like to thank the Miami Dolphins & Chive Charities for helping us make these Warrior Wishes come true! 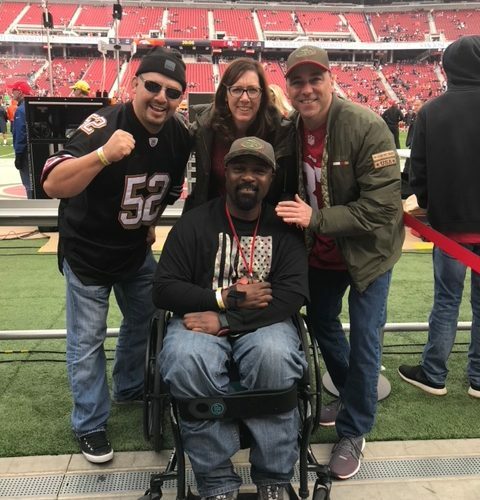 Game 20 – The Cardinals Make Warrior Wishes Come True! 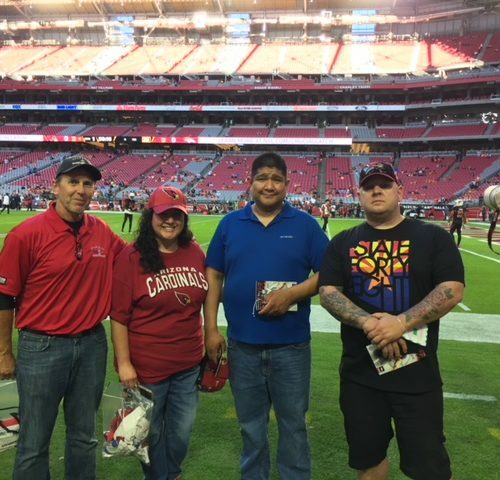 Operation Warrior Wishes was honored to make Warrior Wishes come true at the Cardinals game! 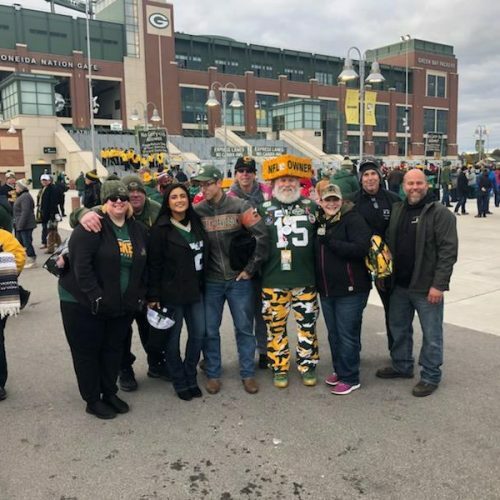 Game 19 – Warrior Wishes Come True In Green Bay! 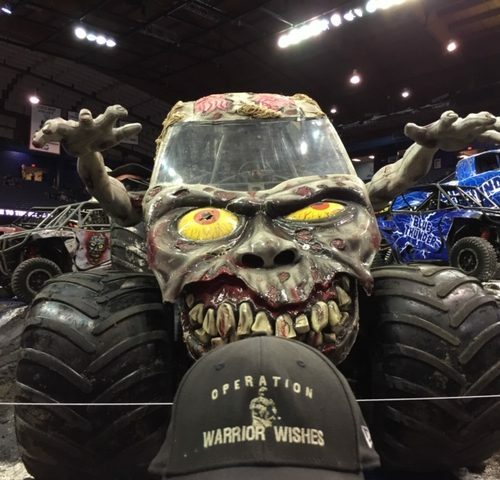 Operation Warrior Wishes was honored to make Warrior Wishes come true in Green Bay! 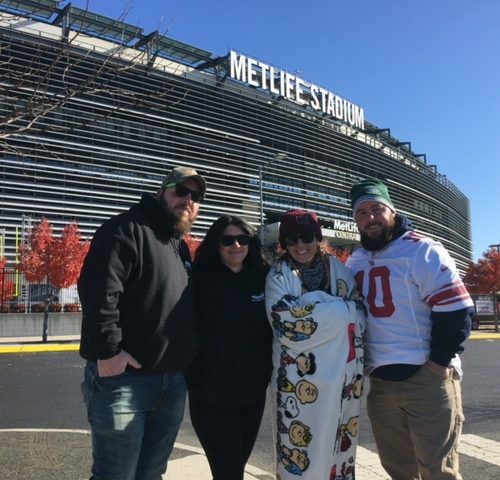 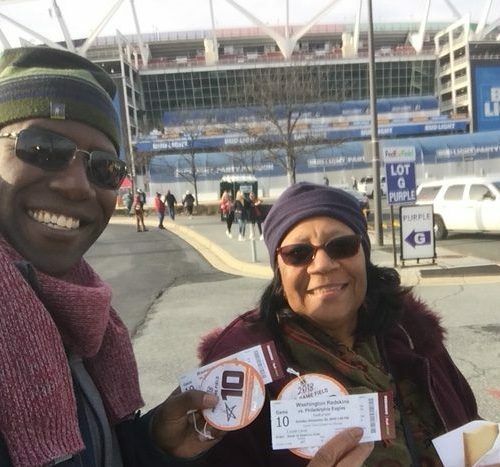 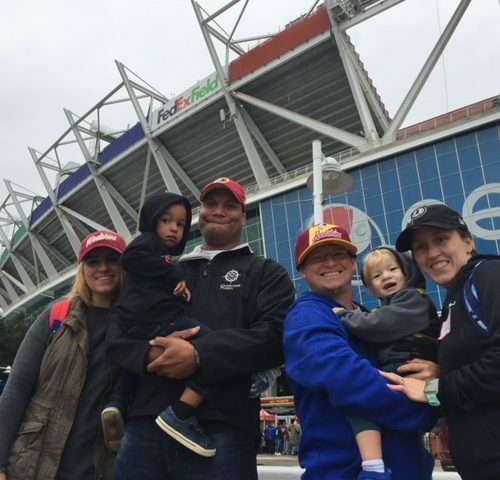 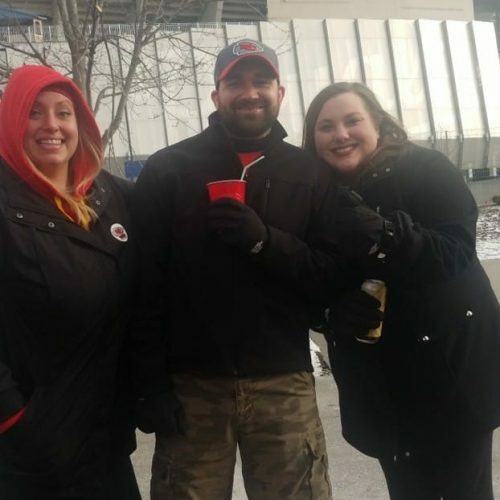 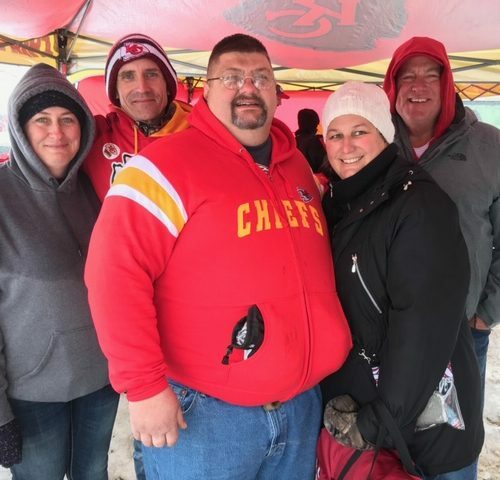 Game 18 – Fedex Makes Warrior Wishes Come True At The Redskins Game!